The California State Coastal Conservancy and the Marin Community Foundation are supporting a series of innovative projects that are developing and testing nature-based solutions to protect shorelines and adapt to sea level rise in Marin County. These grants are made possible by funding from the Buck Family Fund of the Marin Community Foundation to address the impacts of climate change, particularly on low-income communities and other underserved populations in Marin County. Living Shorelines and other nature-based approaches utilize nature to create a living shoreline edge. By restoring and enhancing naturally occurring shoreline features, these projects are designing and testing sustainable defenses against sea level rise, as one of many approaches to protect some of Marin’s most underserved and vulnerable regions. Capacity building among critical partners in order to translate scientific data and analysis into practical solutions for broader implementation. Questions about the application process and potential projects may be directed to Marilyn Latta, 510-286-4157 or marilyn.latta@scc.ca.gov. This project seeks to address potential flooding and habitat degradation along the shoreline of San Rafael’s Canal Area, focusing on a property owned by the Marin Audubon Society. The project will develop a preliminary engineering design to raise and improve a section of degraded levee and to stabilize and restore, if possible, an eroding tidal marsh to provide habitat and reduce the vulnerability of the community to rising tides and flooding. In addition, the project will educate the community about the potential impacts of sea level rise and involve residents in adaptation planning and implementation of solutions. The grant includes youth and community outreach and involvement led by ShoreUp Marin. Point Blue will work with the San Francisco Estuary Institute and the County of Marin’s Community Development Agency to develop a framework to identify, evaluate and prioritize nature-based climate change adaptation strategies to maximize benefits to the public and ecosystem using the best available science. The project team will use the adaptation phase of the County’s BayWAVE project as a test case with the intent that the framework developed will also be applicable around the entire bay and beyond. Naturebased strategies are innovative adaptation solutions that provide more than just coastal protection benefits. Understanding the broader suite of benefits and assessing trade-offs that go beyond the cost of construction for different adaptation strategies is a critical need in transitioning from community vulnerability assessment to action. This project seeks to test methods for sustaining high marsh habitat in the face of sea level rise with two goals: 1) to increase high tide refuge for wildlife by manipulating salt marsh vegetation along shorelines and channels at two sites (Corte Madera Ecological Reserve and Blackie’s Pasture in Tiburon), and 2) to develop conceptual designs for shoreline treatments at both sites that can sustain high marsh habitats during accelerated sea level rise. The project will also involve a focus on engaging and educating community members from underserved communities in Marin County. The grant includes youth and community outreach and involvement components led by Richardson Bay Audubon Center. This project will engage Marin County teachers, students, youth leaders and other community members in science-based approaches to climate adaptation. 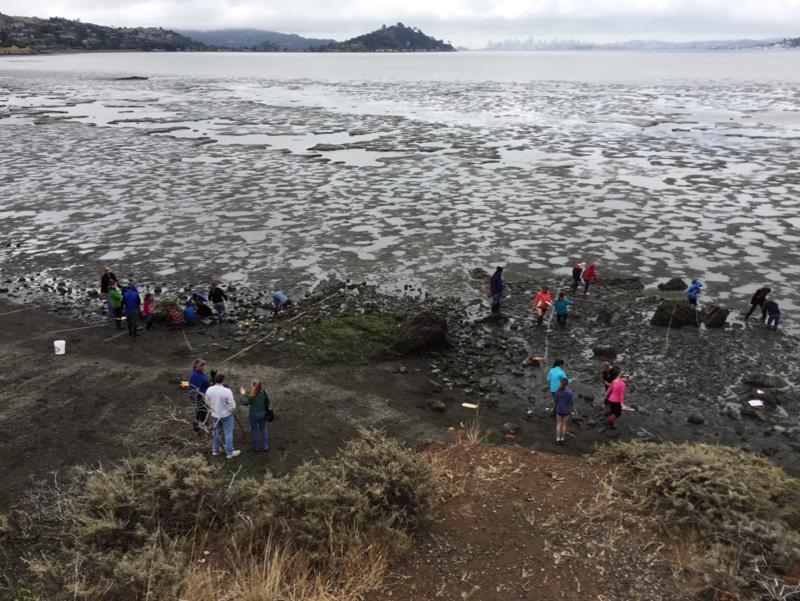 Through teacher workshops, youth internships and volunteer workdays, community scientists will work with professional researchers on rigorous scientific studies at 10 sites in Richardson Bay aimed at finding solutions to challenges facing native oyster restoration and living shoreline projects. 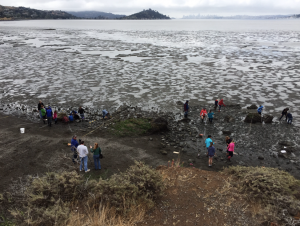 The grant includes teacher training led by the San Francisco Bay National Estuarine Research Reserve and youth and community programs lead by Richardson Bay Audubon Center.